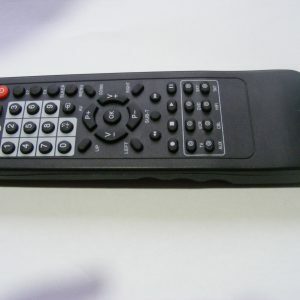 Universal Remote Controls set to the Philips RC5 protocol. or 4 latching and 4 momentary outputs. unauthorised operation – can be turned off if not required. 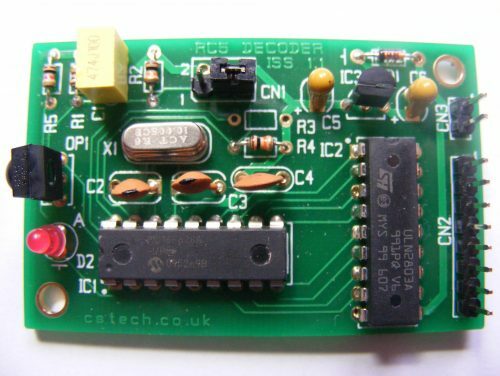 You can purchase the Infra Red Decoder as a kit or assembled and tested. Our Infra Red Decoder kit has 8 NPN open collector Darlington outputs that you can switch remotely with or without a 4 digit security code. It can be operated by most Universal Remote Control units set to the Philips RC5 protocol. We can supply a Remote Control Unit ready programmed for £4.99. It’s easy to turn an output on/off by sending the decoder its ID followed by the output number . For example 12341 turns on output 1 and sending 12341 again turns it off. If required you can turn off the Security Code. Then send 1 to turn on output 1. Send 1 again and output one turns off. A compact Gold Plated PCB, components and programmed PIC. See the PDF (below)for instruction details and component list.